Amplified Payments (Amplify), a payments company in Nigeria, has been acquired by One Finance (OneFi). The deal, completed for an undisclosed fee, took effect as of 1 March, and sees OneFi boost its financial services offering, as the company adds Amplify’s assets, trademarks and flagship products, AmplifyPay and mTransfers, to its growing portfolio. Founded in 2015 by co-founders Segun Adeyemi and Maxwell Obi, who met at MEST Africa’s Entrepreneurial Training Programme in Accra, Ghana, Amplify supports over 1,000 merchants and facilitates digital transactions for four of the country’s largest banks. Amplify also secured its first investment from MEST Africa, the Pan-African incubator, training programme and seed fund, in 2016, when Adeyemi and Obi graduated from the programme and the company officially launched. It is the fifth MEST Africa company to be acquired and the first in the fintech space. The company’s core products are AmplifyPay, a payment gateway specialising in recurring transactions; and mTransfers, a keyboard banking solution that enables consumers to conduct bill and P2P payments in app chats. CTO Maxwell Obi will join the OneFi team to oversee the payments direction of the company, whilst co-founder and CEO, Segun Adeyemi, will depart as he pursues new ventures. 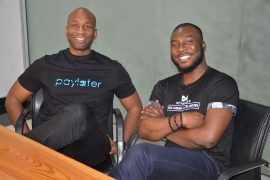 Paylater, OneFi’s consumer-facing lending platform, was launched in 2016 by Nigerian finance entrepreneurs Chijioke and Ngozi Dozie and provides hassle-free loans without the need for human intervention. Through its app, which has been downloaded over one million times, Paylater has deployed over $50 million across 750,000 loans, approving more than 1,500 loans a day at an average of $80 per loan.